Located just about 40 minutes from Bali's Ngurah Rai International Airport, De Sapphire Cliff Villa is the ideal embodiment of the island's natural beauty and spiritual charm. Situated on Impossible Beach, with its dramatic cliffs and sheer drops into the Indian Ocean surf, the resort offers an experience quite unlike any other found on the island. Whether you are looking for adventure sports, beach relaxing, inland treks to volcanic landscapes or mist-shrouded Hindu temples, De Sapphire Cliff Villa's location is unbeatable. The resort is tucked away on a surreal landscape that feels secluded from it all, yet only 40 minutes drive from the bustling beach scene at Kuta, the world-renowned surfing spot at Legian and the stylish wining and dining hub of Seminyak. 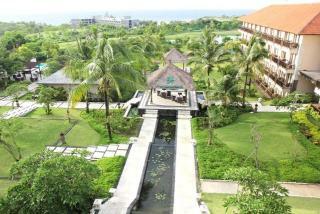 We also offer easy access to the island's inland cultural heartland of Ubud and the seaside temple of Tanah Lot. Home to stunning coral reefs, golden beaches and impressive volcanic mountains, the Indonesian island of Bali, also known as the "Island of the Gods," invites you to explore its natural beauty and cultural heritage. The Radisson Blu Bali Uluwatu is perched overlooking the Indian Ocean and local farmland, giving you amazing views from each of our spacious hotel rooms and suites. Our convenient location places guests close to Bingin Beach and Padang Padang Beach, home of the world-famous Rip Curl Cup Invitational surfing competition. Whether your day is spent by the pool or on the beach sunbathing, wave surfing, sightseeing or shopping, you can find relaxation at the end of the day at the Radisson Blu. When you've worked up an appetite, sample Indonesian flavors and international favorites at Artichoke, one of two on-site eateries. For a romantic evening, reserve a table outside on the terrace at Filini, our on-site Italian restaurant that features an open kitchen and outdoor fireplace. Looking for a refreshing way to end the day? 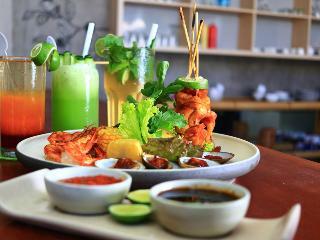 Stop by one of our three bars, offering tropical cocktails, freshly made juices and innovative tapas. To keep up with your workout routine, you can go for a jog in the fully equipped fitness center, join a free yoga session or swim some leisurely laps in the pool. Afterwards, indulge in a special treatment at our relaxing spa. If you're planning an event in Bali, take advantage of our versatile meeting space, which can host up to 240 guests, and our airport transfer service, for easy transportation during your stay. 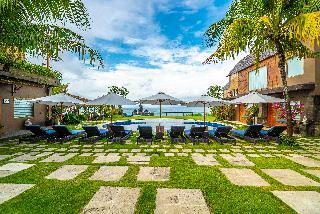 With magnificent panoramic ocean views and seven unique, oversized and architecturally refined five bedroom villas nestled into 7.5 hectares of perfectly manicured tropical gardens, The Ungasan Clifftop Resorts is very much a place for the dedicated few. A sanctuary of unparalleled luxury, each of The Ungasan seven breathtaking villas offers exclusive haven of privacy with 30 meters of cliff frontage and private swimming pools overlooking the ocean. These very special villas offer a selection of unique and flexible holiday solutions for extended families, large groups of friends and special occasions such as corporate events and launches, weddings, birthday, and anniversary celebrations. 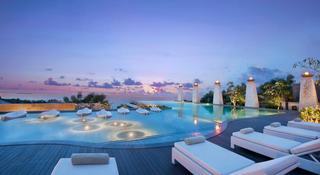 This comfortable hotel is located in Uluwatu. The establishment comprises 28 cosy rooms. Moreover, there is a wireless Internet connection available on-site. The accommodation provides 24-hour reception. All bedrooms include cots for little children on demand. Those who dislike animals may enjoy their stay, as this establishment does not allow pets. Parking facilities are available for guests' convenience. 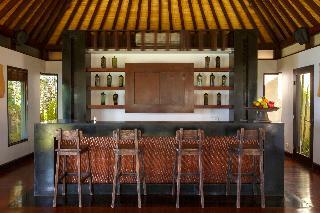 Hideaway Villas is created as a serene escape in the cliffs of Bali's rustic Bukit peninsula. We welcome you to discover the charms of authentic local culture, experience contemporary Balinese hospitality, and be intrigued with the road-less-traveled.Situated in a stunningly secluded area in Uluwatu, a mere 15 kilometres away from Ngurah Rai International Airport (DPS) and nearby some of the famous beaches in Bali, including Dreamland, Balangan, Padang-Padang, Blue Point and Uluwatu.A total of 34 contemporary suites and villas. The smart terraced design allows each suite and villa to enjoy unobstructed ocean views. Room interior is understated yet artistic, with soothing hues of grey that blend effortlessly with natural elements of ironwood, stone, and copper. 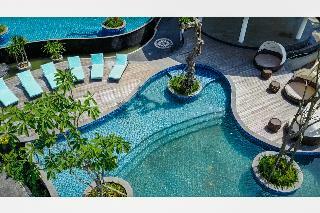 The Suites offer combined bedroom and living area, with a private deck and plunge pool. 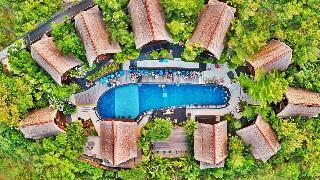 Nestled into an idyllic location on the Bukit peninsula, S Resorts Hidden Valley is the perfect choice in Bali for people searching for peace and tranquillity. Near some of Bali's most beautiful beaches & sought after surf spots like Uluwatu, Padang Padang, Bingin, Balangan & Dreamland, our luxurious resort has everything a family, couple, single or group could ever need. 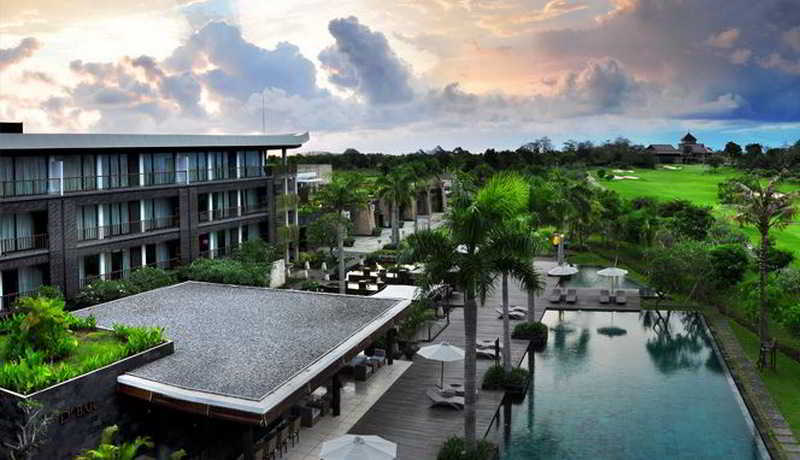 It's also conveniently located near the fantastic shopping, restaurants and nightlife offered in the tourism hubs of Kuta, Seminyak & Nusa Dua.At S Resorts Hidden Valley we have an outstanding Surf program and our resident surf guides will teach you the ins-and-outs of the most famous breaks in Bali or introduce you to hidden gems off the beaten path away from the crowds.